Why A Mobile dog daycare? Every dog loves and needs to be walked. Exercise is crucial to your dog's physical and mental well being. Dogs also crave love and attention, however, many dogs just lie around all day while their humans are busy "bringing home the bacon" - working all day. Believing there was a better way of caring for dogs and our human clients as well, we began The Crate Escape. 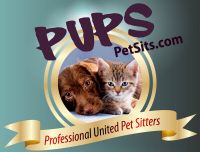 We provide Dog Walking, Pet Sitting and Dog Daycare Services in Falmouth Ma., North Falmouth, West Falmouth, Teaticket, Woodshole, Hatchville, Waquoit, Pocasset, New Seabury and Mashpee, Massachusetts. While regular doggy day cares and dog walkers fill a need, The Crate Escape combines the most natural form of fun and exercise for your pet with the most convenience for you. We come to your home, pick up your dog and with a small playgroup of no more than four dogs per person, we go on adventures that include fields to run through, woods to explore, and water to swim in. At The Crate Escape we believe dogs are happiest when they live and play as naturally as they were intended to. No small, gravel filled play spaces to impede their movement or hurt their paws. Overwhelming numbers of dogs can cause anxiety so we keep the pack to a size similar in nature. After the outing we drop your dog off at your home happy and tired and ready for a nap, never wasting any of his play date by crating. 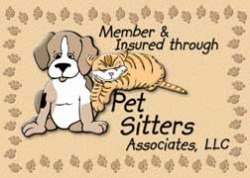 Small groups also insure your dog sees the same playmates and pack leaders each time.